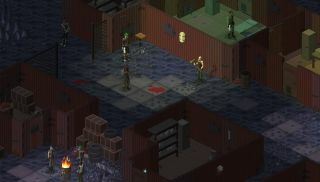 Back in December, Stygian Software's indie isometric RPG Underrail released its alpha version on Desura and GamersGate . Apart from having a title one letter shy of a catchy deodorant brand, the game boasts clear inspirations from classics like Fallout and Arcanum in an underground tunnel setting smacking of Metro 2033. I'm cuckoo for that combo. Stygian finally has a proper trailer to show it all off, and it's a fair heap of (alpha quality) content on offer for just $10. Visit Underrail on either Desura or GamersGate for more media and a download. It's also on Steam Greenlight for your yea or nay on its potential Steamification.